We are delighted with the completion of the Amphitheatre in April 2017 and the final works by June 2017. Please see the Hampshire Chronicle write-up and photos. 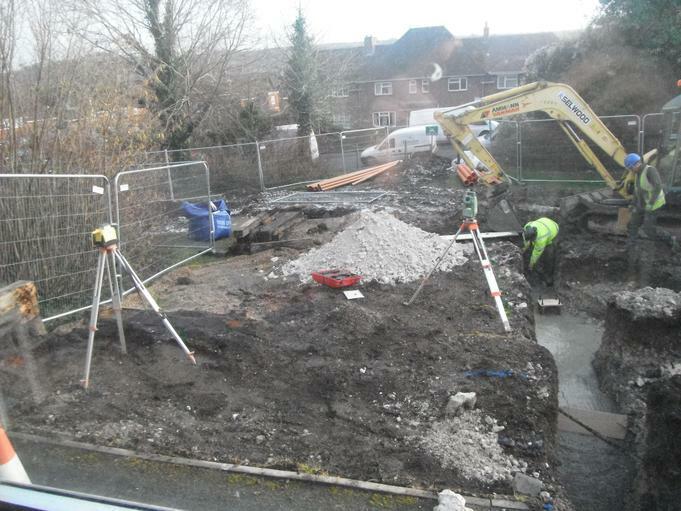 Our learning environment has undergone major changes over the past few years. Due to the increasing demand for school places, we have been working towards becoming a one form entry school. 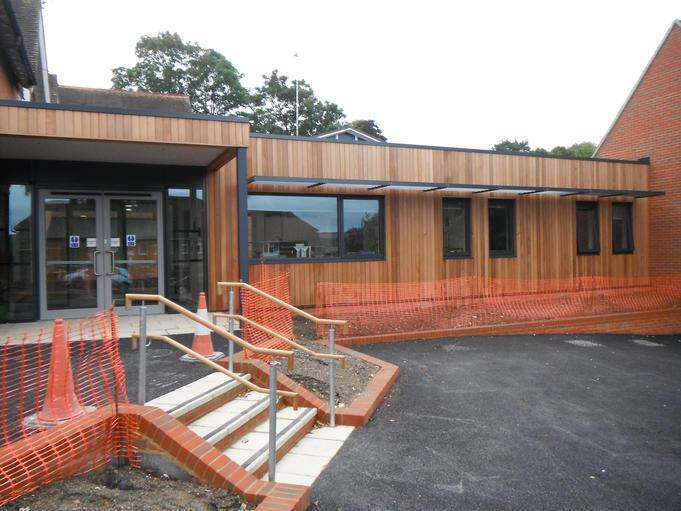 We were very fortunate to have been included in Hampshire’s building expansion plan. 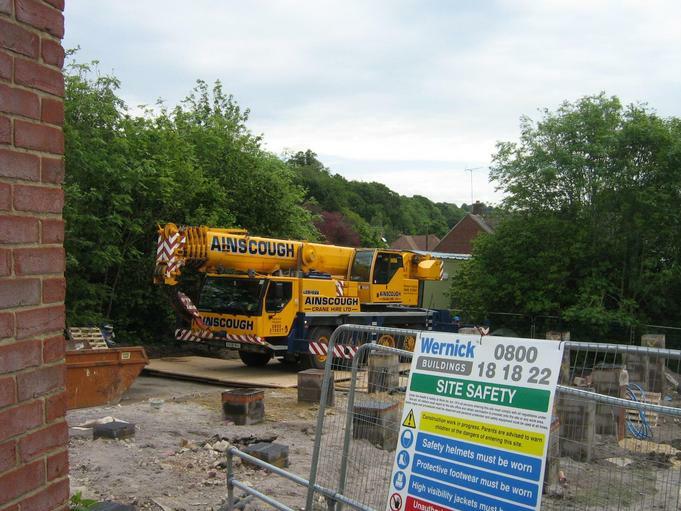 The £1.5million extension including phases 1, 2 and 3 began in summer 2014. 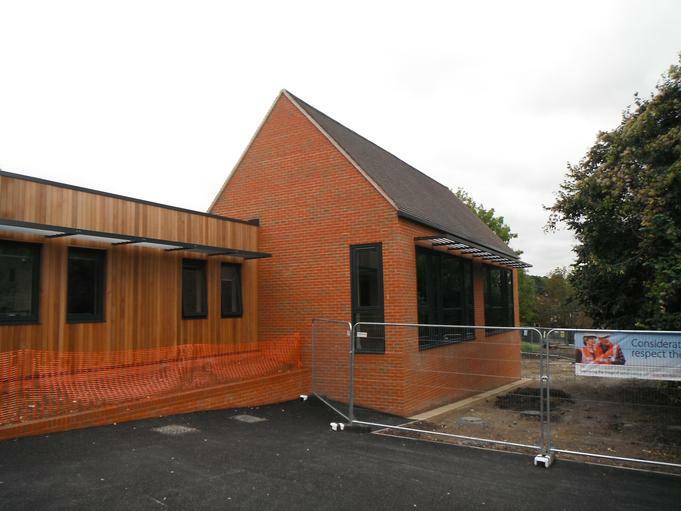 On Friday 28th August, phases 1 and 2 were completed and the new extension and classrooms were handed over to us on 28th August 2015. 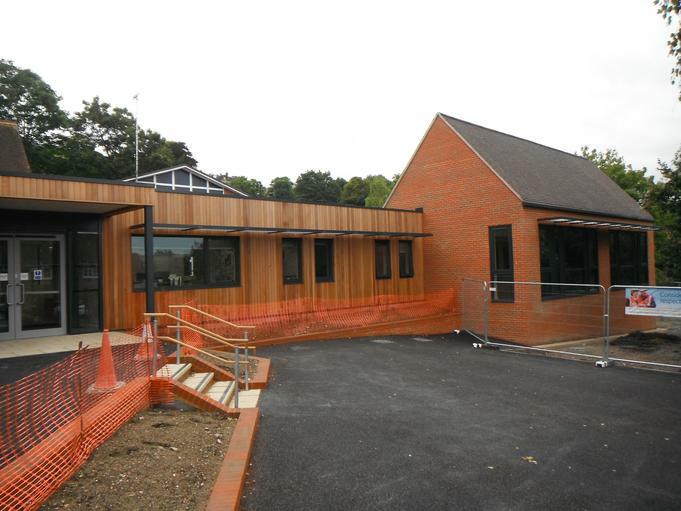 The fantastic project has extended our school with two additional classrooms, a new suite of offices, an improved library and a glazed corridor. 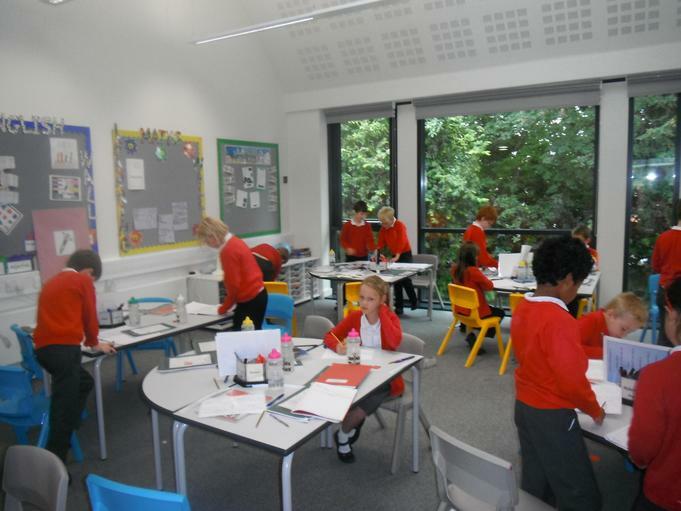 For the first time in the history of the school (over 250 years) We are joined from the Victorian KS2 wing to the KS1 and Early Year’s classroom. 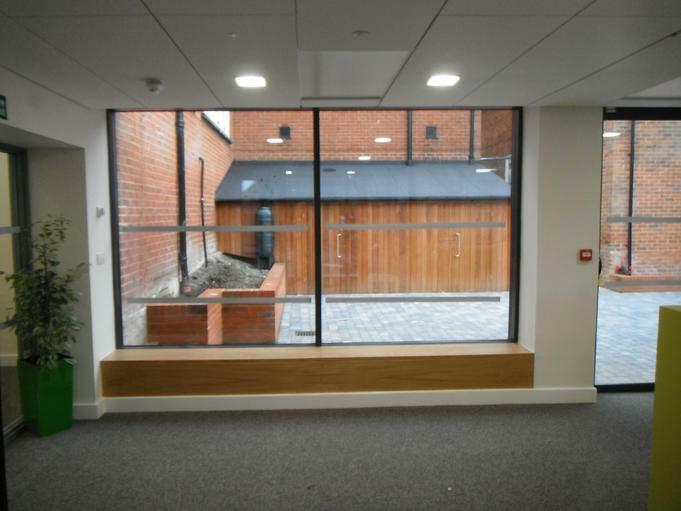 This, as well as including a purpose built Year R courtyard now enables our children to move around freely and safely within the school. Over the summer of 2015, the older and more tired looking areas were upgraded to allow the smooth transition from the old to the new buildings. 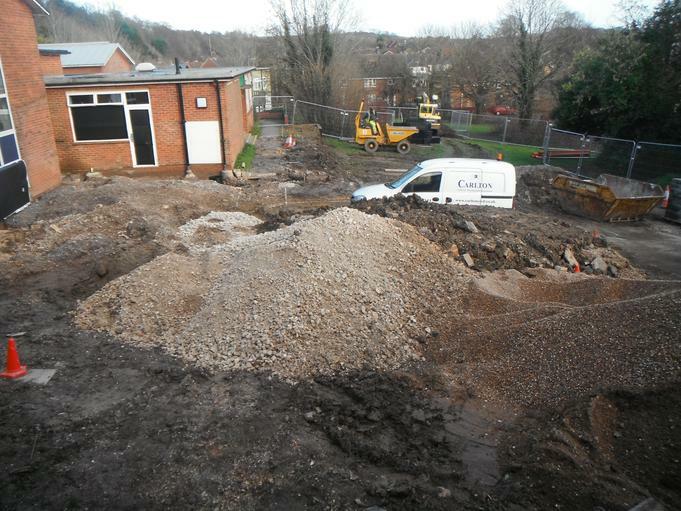 Every classroom was either cleared or moved, including the library and the school offices. We all love our new building and we are very grateful to everyone who made it happen and possible! 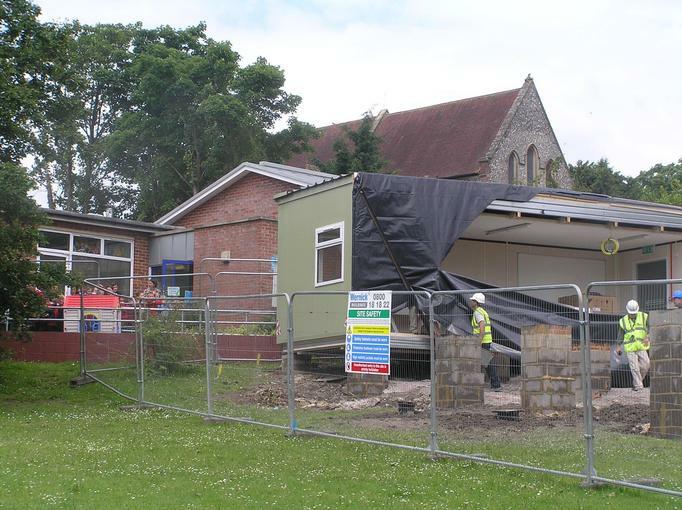 It has been a challenging and exciting transition for the whole school community, which we all look forward to using for many years ahead. Our School Aims (the 7 red stars) – safe, secure, strength, succeed, standards, share and support are reflected in our learning environment. 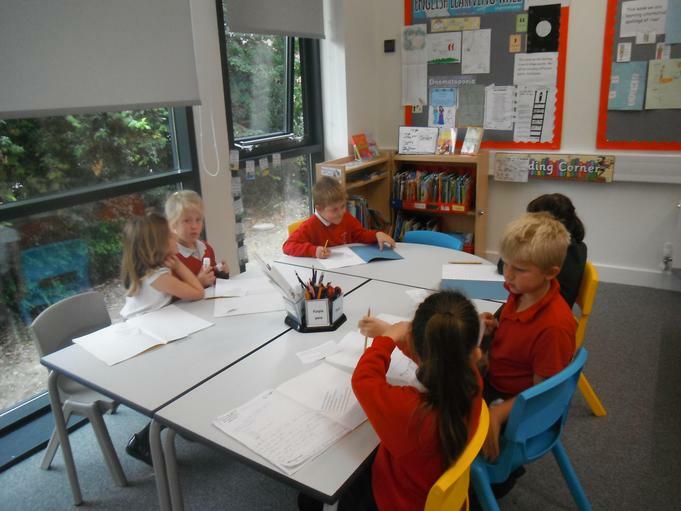 a wide range of learning opportunities and active participation. 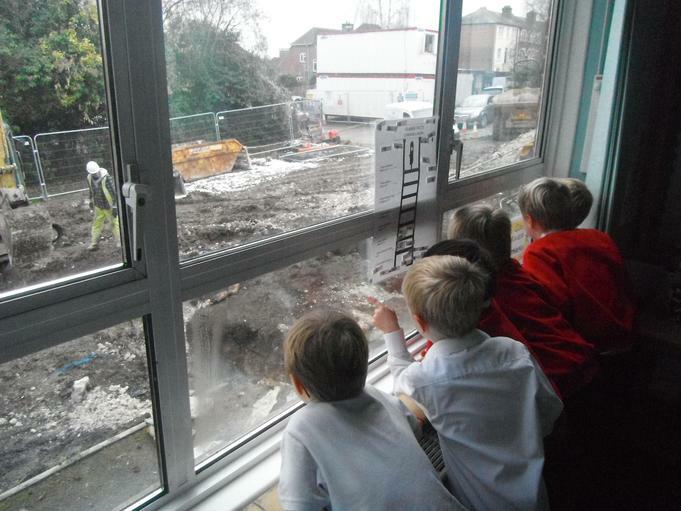 Our learning environment will continue to change as we further develop our outdoor learning and active playtimes. Watch this space!